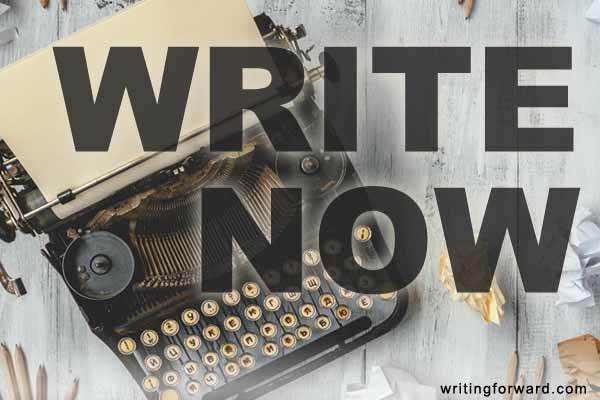 Don’t put it off any longer: write now. What are your ideal writing conditions? Is it quiet, or are there stimulating background noises? Are you alone, curled up in a chair with a pen and a notebook, or are you in a bustling café, gleaning inspiration from fellow patrons and a tasty meal or cup of coffee? Are you already rich and successful with all the time in the world to dedicate to your craft, or are you a starving artist, hungry to get that first publication credit, desperate to complete that first novel? Inadequate conditions are one of the many excuses that would-be writers use to explain why they’re not getting any work done. Their schedules are too full, their bank accounts too empty. They’re too tired or not inspired. They haven’t found the perfect story idea. They don’t have a comfortable chair, or there’s too much noise — too many distractions. Every excuse — every reason not to write — is just that: an excuse. Writing is the cheapest and most accessible craft in the world. All you need to get started is a pen and a notebook. If you have a fancy computer and state-of-the-art software, all the better, but owning these tools is not essential. Anyone can rent computer time in a local library (Ray Bradbury rented typewriters when he first started his writing career). Ideal conditions may happen someday. Your personal responsibilities will dwindle. You’ll have a spare room you can convert into your own personal writing studio. You’ll have spare cash you can spend on supplies, equipment, and weekly trips to a quaint café. In the meantime, why let all these excuses stop you from doing what you love? If you really want to write — if you truly want to become an author — you won’t let anything get in your way, least of all, imperfect conditions. I find it difficult to write with certain types of noise in the background. Talking, television, and music are extremely distracting for me. Other than that, I can write just about anywhere. Isn’t that just the plain, unvarnished truth? It doesn’t seem to matter how often it is said, how eloquently it is said or however brilliant the writer, I cannot, try as I might, seem to be able to put down ‘a word on paper’ when it comes to writing. I don’t have the least trouble in writing 1000-plus words emails to my many e-friends, but when faced with a blank page or an open text file I simply cannot write. This isn’t an excuse – I have tried and tried for more wasted years than I care to think about and my inability to write is never, and I am beginning to believe can never, be overcome. To all those who are able to write, please carry on – I wish I could be one with you, but I feel I never shall be. Thank you, Melissa, for bringing us the finest of writing tipa day in and day out; like a starving man looking in at a feast he cannot attend, it is some consolation. You’ve left similar comments here before, about how you can’t get anything down on a blank page. 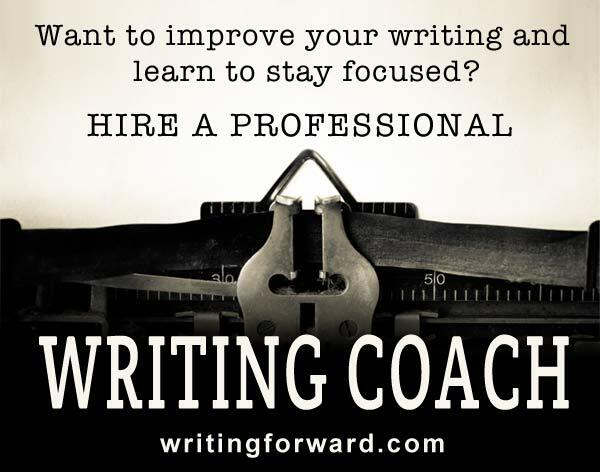 I wonder if you’ve tried writing exercises or prompts or if you’ve taken a writing class or workshop (online or off). Sometimes working on an assignment is helpful because you are given direction, a place to start. E-mails might be easier for you because you have something to say (a purpose). It sounds like you might benefit from some direction (instructions or an assignment). 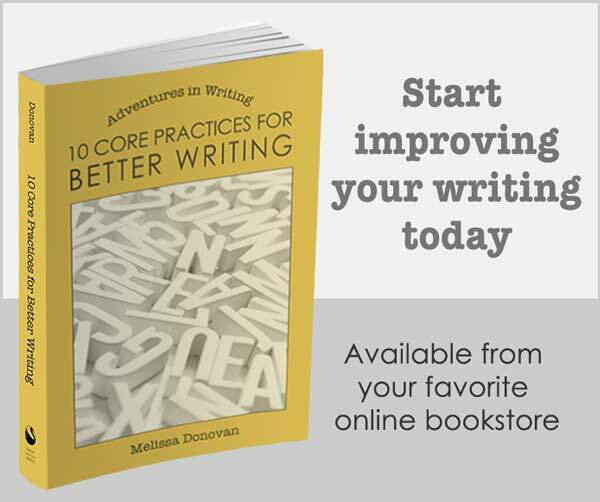 I would encourage you to start telling yourself that you CAN write and WILL write and then just do it. Write whatever comes to mind, even if it is nonsensical. This is so true. For many years I had to cobble together a minute here, a half hour there, but it’s one word at a time, words like popcorn strung up making a garland, a sentence, a paragraph, a short story. Like that it goes, one word at a time. But isn’t it amazing, I mean some people are born to write. It’s not that writers can write, it’s that writers cannot not write. And talent is almost beside the point. otherwise, it’s not that important. I write because I write. It’s just something I do and have always done, a compulsion.